Private personal training for 1 person. Unique programs designed specifically for you. Rates start at $600 per month, auto-billed on the 1st of each month. Additional studio rental fee may apply. Perfect for friends or family that want to train together. Rates start at $900 per month per group (not per person), auto-billed on the 1st of each month. Additional studio rental fee may apply. Groups of up to 7-10 people. A group fitness class exclusively for you and your friends, family, or corporate team! Rates start at $1200 per month per group (not per person), auto-billed on the 1st of each month. Additional studio rental fee may apply. 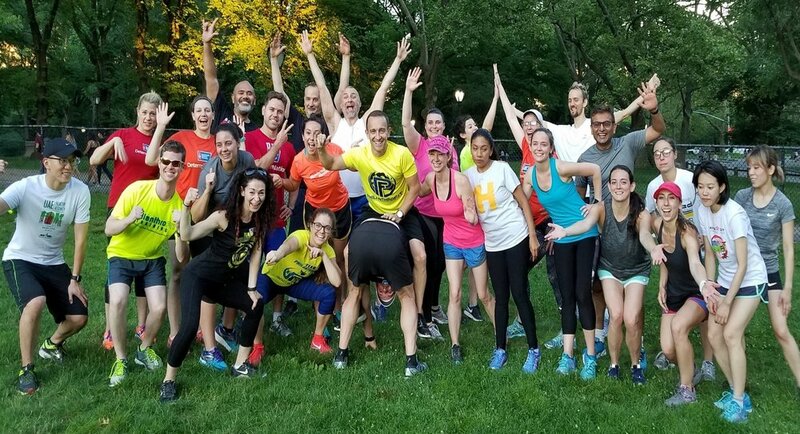 *For groups larger than 10 please contact us directly at info@philanthrofit.com or 347-674-PFIT (7348). This is a one time private, semi-private, or private group training session. 80% of the fee will be donated to one of our partner charities. Expires 1 month from date of purchase. All sales final. Please click here to print our required waiver and health history forms before your first training session.